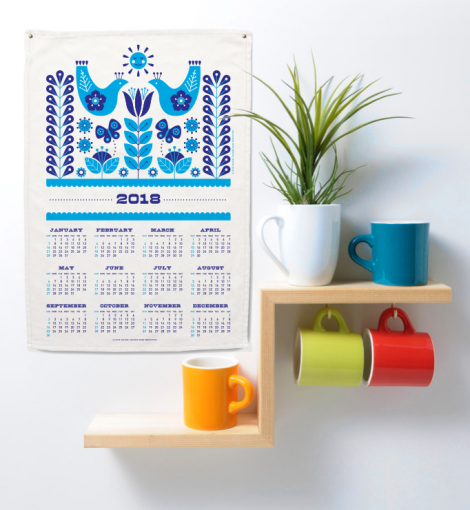 Several years ago my friend, Heather Mann, and I teamed up to bring you a fun and easy 2010 tea towel calendar printable and project over at Dollar Store Crafts. We’re doing it again with a Scandinavian-style graphic I designed for your 2018 tea towel in three different color combinations to choose from. There’s also free printables for making gift cards! So head over to Dollar Store Crafts for the full tutorial and free downloads for crafting your own kitchen calendar or to make several to gift! This entry was posted in cardmaking, digital, Free digital downloads, Free PDF files, general craft, Greeting Cards, Printables and tagged 2018 Calendar, Dollar Store Crafts, Gift Card, Tea Towel. Bookmark the permalink. It’s awesome and gorgeous! I still love this idea, so thank you for sharing!